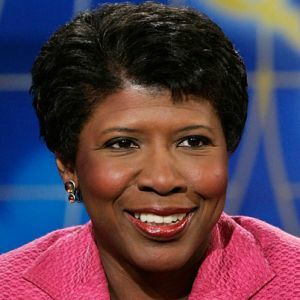 Gwen Ifill, who died of cancer Nov. 14, 2016 at the age of 61, was a role model for upcoming journalists, especially minority women. She was fair but didn’t hesitate to ask tough questions. Ms. Ifill was born in Queens, New York. Her father was an itinerate minister, so the family was poor and lived for a time in federally subsidized housing. She graduated from Simmons College in Boston and worked at the Boston Herald American and later at the Baltimore Evening Sun. She also wrote for the Washington Post and was the White House correspondent for the New York Times when Bill Clinton won the presidency in 1992. As a black woman in the white world of journalism, she received racial slurs over the years, but it didn’t stifle her desire to investigate and report the truth. She worked in broadcasting for NBC but in 1999 she became moderator of PBS’s “Washington Week in Review,” the first black woman to head a national political show. She and Judy Woodruff were officially named co-anchors of “The PBS NewsHour” in 2013. Ifill wrote “The Breakthrough: Politics and Race in the Age of Obama” in 2009. She never married.